The history of Golden Gate Park is filled with many structures and features that no longer exist today. 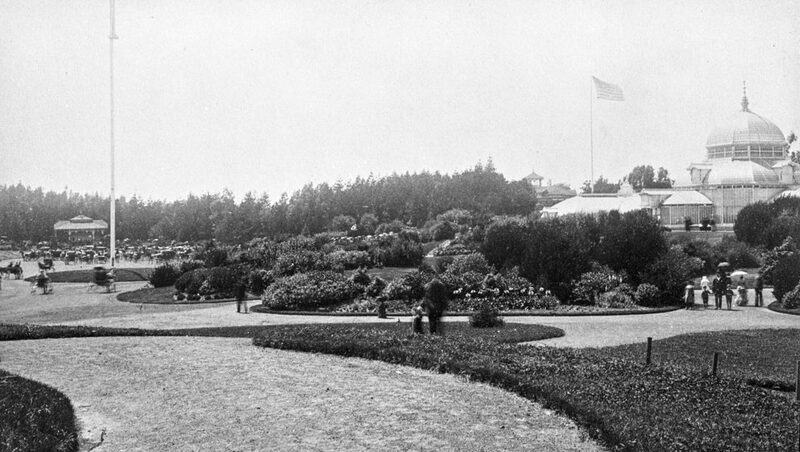 Three of those structures – the first two music stands, and the Casino – were neighbors to the Conservatory of Flowers. Their fleeting existence stands as a reminder that the Conservatory could well have met a similar fate, but instead has proudly survived for 140 years. 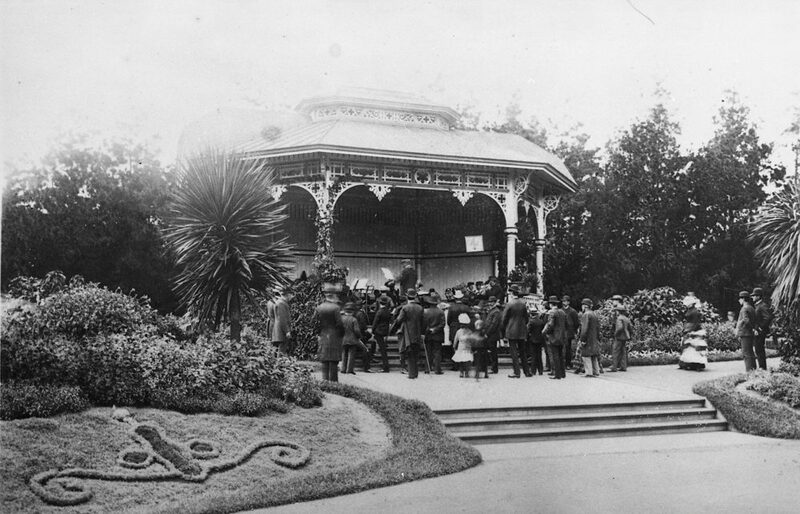 Golden Gate Park’s first music stand opened in 1882, not long after the Conservatory’s debut in 1879. Located at the west end of Conservatory Valley, it was a modestly-sized wooden gazebo with gingerbread decorations. Well-heeled park visitors would sit in their horse-drawn buggies while listening to music programs; it was an opportunity to see and be seen. Conservatory Valley was cleared of plantings and given a stone surface to accommodate the buggies. However, the music programs were so popular that the Valley proved too small for the mass of buggies, and the music stand too small to fit larger music ensembles. Plans were soon made for a second music stand. A new, larger music stand and concourse opened on July 4, 1888. The stand was on an earthen mound still visible today just south of Main Drive (today’s John F. Kennedy Drive), at the site of the present tennis court clubhouse. The music stand itself was a large shell with a scalloped interior, flanked by large urns holding plants and surrounded by planted flower beds decorated with musical motifs. Conservatory Valley eventually reverted back to the flower bed landscaping seen today. To accommodate crowds flowing from the Conservatory to the new music stand, a suspension bridge was completed in 1892 over Main Drive. It was built by John A. Roebling & Sons, who also built the Brooklyn Bridge and supplied cables for the Golden Gate Bridge. 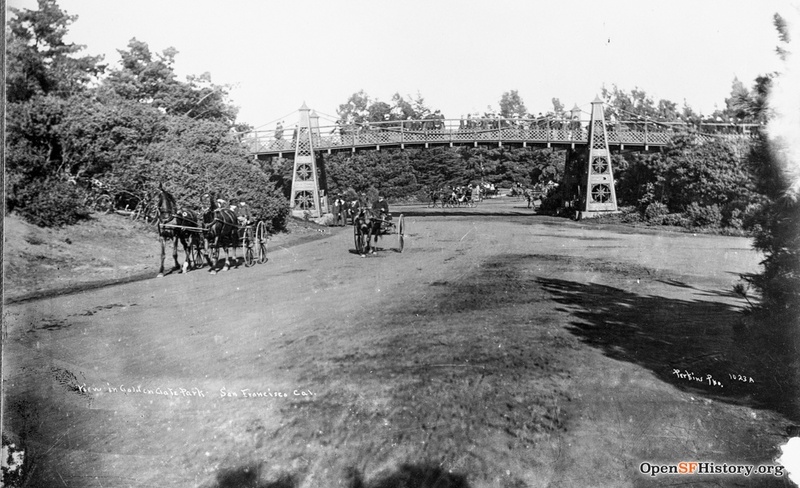 Sadly, the suspension bridge was taken down in 1928 due to deterioration and never replaced. The park’s current bandshell is the third music stand. The basin that later became the Music Concourse was excavated for the Grand Court of the 1894 California Midwinter International Exhibition, and converted into the Music Concourse in 1900. 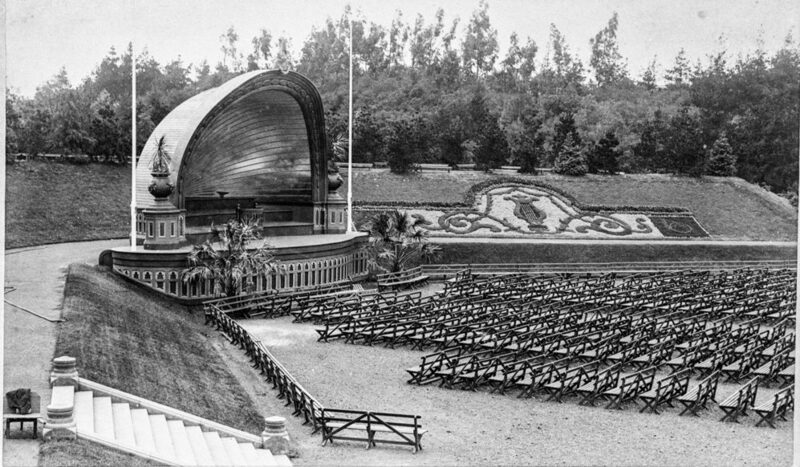 At this time, the bandshell was built at the western end as a gift from Claus Spreckels, the industrialist sugar magnate, and became officially known as the Spreckels Temple of Music. While the first two music stands no longer exist, the third and current bandshell is fortunately still standing for the public’s enjoyment. Unfortunately, the same cannot be said for the Casino. Located just west and above Conservatory Valley, the Casino opened on December 31, 1881 by brothers Jake and Rhinehart Daemon. The one-story building was not a casino in the modern sense, but rather a restaurant and bar with a large public dining room and several smaller, private dining rooms. 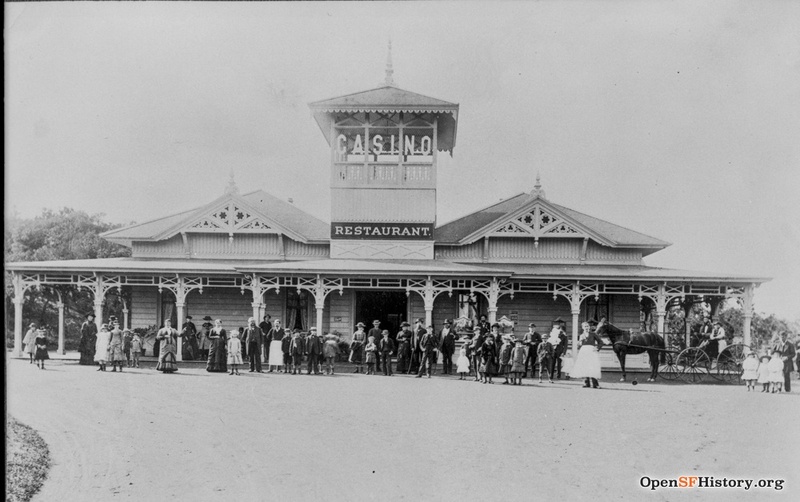 The Casino quickly developed a rowdy reputation, perhaps in part because it served alcohol and therefore attracted customers at odds with the park’s preferred family-friendly image. In 1890, the building was moved down the hill, facing south over Main Drive, and a second story was added. Its reputation issues continued and, within a few years, the Casino was shut down. The ground floor became a natural history museum that displayed taxidermy, while the second floor was used for park offices. Interestingly, around this same time, the hill that the building was on was encircled by a wooden flume water ride called Casino Canal. In 1895, a proposal was put forth to move the structure to the west end of Speed Road for use as a horsemen’s club, but it was rejected. The Park Commission sold the building for $400 to Stewart Menzies the next year. He moved the entire building to 24th and Fulton, and turned it into a roadhouse that was far more accessible than its park location. At the time, the surrounding area was mostly uninhabited, so there were no neighbors to complain about the noise or customer behavior. Yet it was still close enough to the park to attract those visitors, as well as people on their way out to Ocean Beach. A streetcar line later passed in front of the building, and it became a popular banquet location. However, the Casino fell out of favor with the encroachment of the developing Richmond District as homes were built nearby, and it was eventually torn down in 1922. 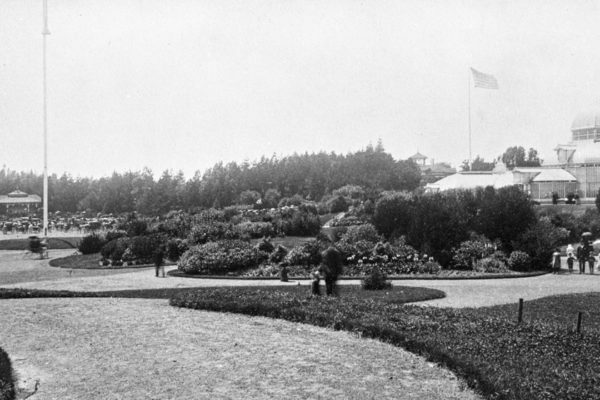 Golden Gate Park did consider building a new casino in 1900, but the plan was never approved, in part because of outcry from those in the temperance movement. The proposed site for the second Casino is now the home of the California Academy of Sciences. 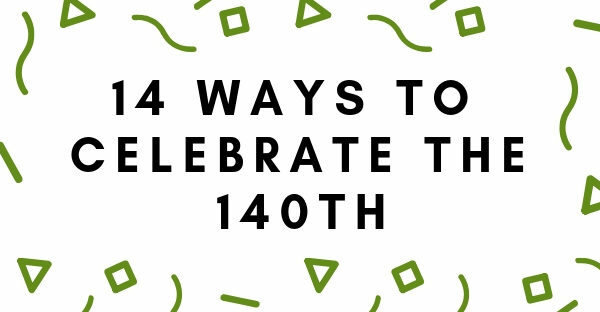 The Western Neighborhoods Project is a 501(c)3 California nonprofit organization, formed in 1999, that preserves and shares the history and culture of the neighborhoods in western San Francisco. 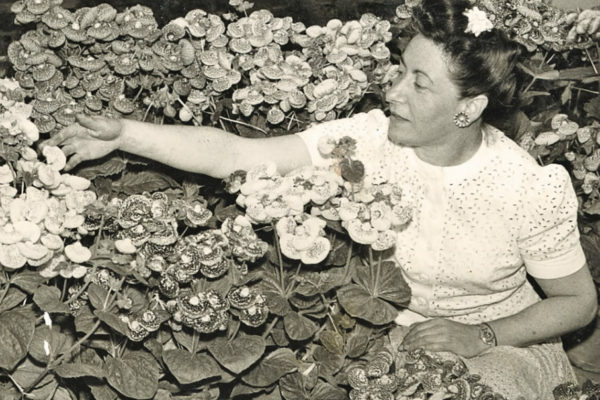 In 2015, we launched the OpenSFHistory program to conserve, digitize, and share with the public more than 100,000 historical images of San Francisco.